Making a meal plan is the BEST way to keep your family eating real food on a real budget. After a lot of trial and error, I’ve learned my favorite method of meal planning and it saves me food, time and money! Whether you plan meals for an entire month or plan one week at a time, this step-by-step method breaks it down into a simple task. Start by pulling out your meal plan calendar and with a pencil, write down any dinners that are the same each and every week. For example, we LOVE to make our own pizza, so we do that every Friday night. It’s nothing extravagant, but it’s one night I don’t have to think of something to cook for dinner. Seeing them filled in on my calendar allows my head to be “free” to concentrate on planning for the rest of the meals that week. Does your family have a favorite meal, like pizza, burgers, tacos, pasta? If not, I encourage you to plan one night a week where dinner is always the same. It relieves stress to plan for one less day each week and saves money because we can buy ingredients in bulk. Plus as a family, we all look forward to that night every week! Dinner often gets tossed aside as a second thought or no thought at all when we have a bunch of things on the calendar. The question is, if we know we have these commitments, then why can’t we plan dinner around them? Write down your consistent obligations on your meal plan calendar and alongside it write in “Leftover Night” or “Quick and Easy.” Using up your leftovers for busy nights saves you time and money and ensures you don’t waste any food in your fridge. 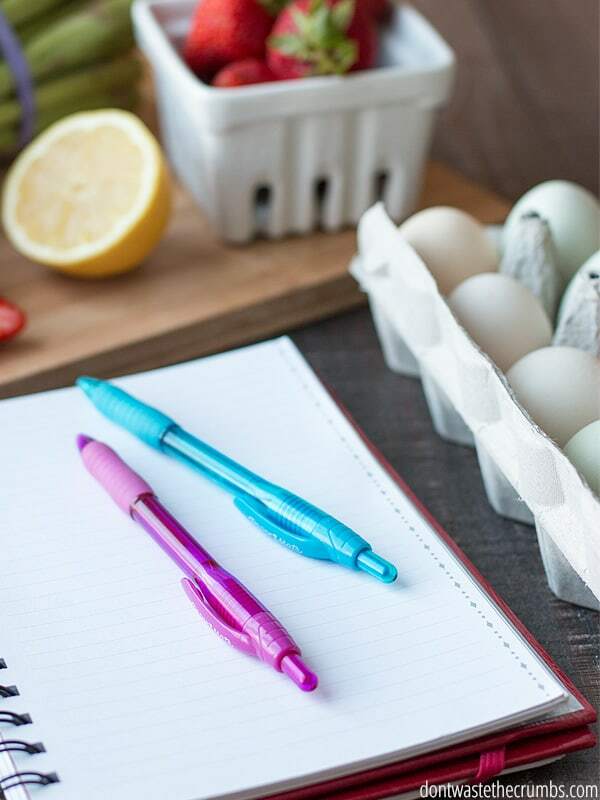 Having a list of your favorite quick and easy meals makes it easy to meal plan too. Just think, if you have baseball on Tuesdays and Thursdays, rotate six different quick and easy family favorites on the first night and save leftovers for the next night. (My slow cooker is my best friend for these kinds of nights!) Look, your calendar is already filling up! Are you working on feeding your family more real foods? Make your healthy eating goals a reality by including them on your meal plan calendar. Planning a soup and salad night would increase your vegetables and help you consume more bone broth. For days you know you will be home, set a prep day to make foods like breads and snacks, eliminating processed foods from your pantry. You can tailor your eating goals to align with your grocery budget goals too. Stretching your meat to cover multiple meals or even going meatless one night a week with both make big strides towards saving money. Even small things like making your own dressings and sauces add up in the long run. Plus you’ll be feeding your family better food! You may feel a little overwhelmed at this point, thinking you’re going to have to come up with a tons of recipes for the days that are left. This is where many meal plans fail, because the planner doesn’t know specifically what to put on the plan at this point. You should choose categories that best fit your current season of life. If it’s cold outside, you might want more comfort foods or baked casseroles. If it’s summer, you might be grilling more often and eating cold meals like sandwiches and salads. Go through the freezer, refrigerator, and pantry and notice what you have. Do you have lots of ground beef? Perhaps some burgers or Italian meatballs should be on your menu. Have a lot of rice, but no pasta? Aim for Asian dishes since they’re more likely to be served with rice. With the ingredients you already have in your house, write down recipe ideas next to each category from the last step. Again, they don’t have to be extravagant recipes – we’re basically brainstorming and anything you come up with will simply be a part of the “grand master recipe list” that you can go to when you meal plan again! As mentioned in step #2, be sure to put “quick and easy” meals on nights where you can benefit from them most. On the other hand, put meals that take more time to prepare on days where you know you’ll be home for the hours leading up to dinner. If you weren’t able to think of any meal ideas with what you have on hand, have no fears! Thinking of new ideas (or remembering some good older ones) gets easier the more often you plan. As you thumb through magazines, browse websites and Pinterest, and talk to friends, make notes of any recipes you want to try and add the winners to your master recipe list! So far in our meal plan we’ve focused primarily on dinners, but we can’t neglect planning for breakfast and lunch! Muffins are a family favorite in my house for breakfast and I prefer to make a big batch to last us throughout the week. I like to have other consistent options available for breakfast too, like oatmeal, homemade granola, and fresh fruit, to keep meal planning simple. Freezing baked goods like muffins, pancakes, and breakfast breads saves you lots of time when you have days where you need to leave the house early. I know that getting out the door on time can be a challenge! If you’re packing school lunches or sending lunch to work with your spouse, plan options that work with their schedule. Your meal plan for breakfast and lunch can include some favorites, but you may not need a detailed list for these meals. Sometimes it is easier to have some grab and go options available to create a snack lunch instead of having a very specific meal planned out. However you choose to finish up this part of your meal plan is up to you! I want to remind everyone that meal planning is about getting organized and saving money – according to what YOU eat. It’s not about conforming to what someone else does or trying to impress with cooking skills. If you don’t enjoy making your own pasta sauce, then buy your favorite. Plan one-pot meals or casseroles if you like to eat them. Even if you’re a classic peanut butter and jelly sandwich type of home – keep it up! My point is that your dinners don’t have to have the perfect blend of meat, starch, veggie and salad. My plan reflects the nutrition goals and food preferences of my family. We don’t eat out much (for a variety of reasons, not just nutrition). We’re not big casserole eaters. I enjoy cooking and baking and I’m fortunate enough to have a family who is very forgiving when recipes don’t work out as planned (which does happen!). I prefer to make a big bulk shopping trip at the beginning of the month, and then make little trips throughout the month for fresh items like produce and dairy as needed. I’ve found that this saves me both time and money in the long run. Keep a piece of paper on the fridge. As an item runs low or out, write it on the list. As I add specific meals to the meal plan, add the ingredients needed to complete the recipes to the list. Review the list and see if I can substitute for something I already have. Like making homemade coconut milk instead of buying it. Some people like to shop every week, but to be completely honest, this is so much less stressful for me and my family. I may spend a couple hours on that first weekend taking care of the shopping, but it saves so much headache for me in the long run. It’s also no big deal if I happen to forget anything (since I budget both money and time for smaller trips later in the month), but such a relief to already have on hand the majority of what we’ll be eating! This is the method I used when I first started meal planning, but I totally get that meal planning is not everyone’s strong suit. 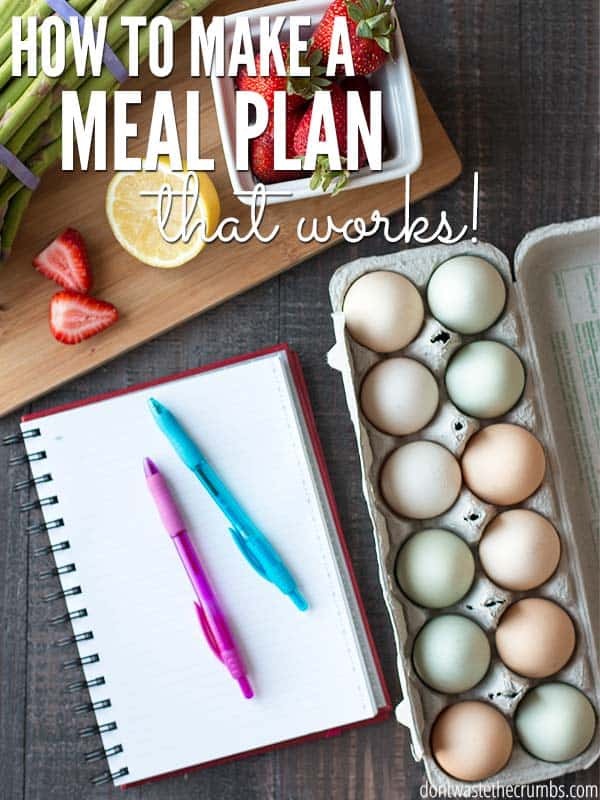 If you’re rather have a plan ready to go for you instead of creating one yourself, I recommend checking into my quarterly meal plans: Frugal Real Food Meal Plans. These meal plans are designed to help you spend less on food and have already helped 8000+ people save money on groceries. The meal plans also comes with shopping lists, prep lists and even ideas for breakfast and lunch too. It’s literally an all-inclusive package to eating real food on a budget! 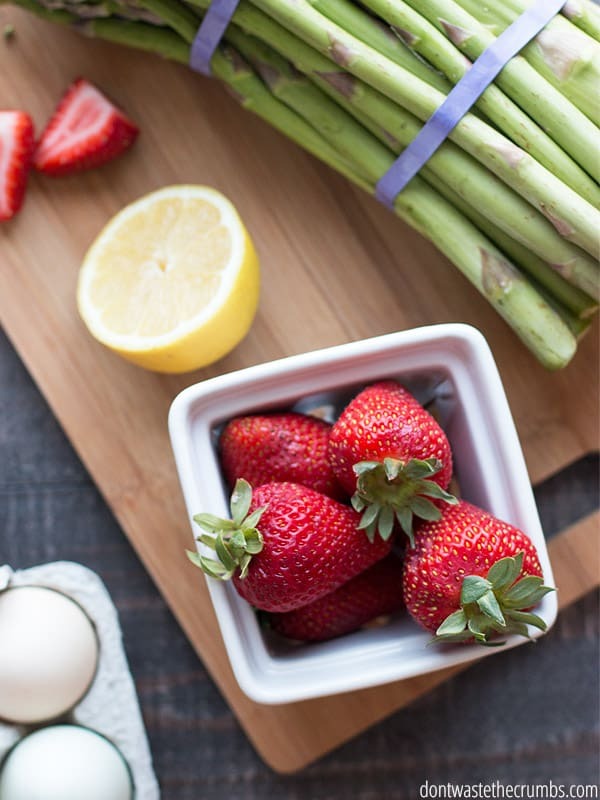 If you want to dive into more than just meal plans, Grocery Budget Bootcamp will give you all the tools you need to save big money on real food eating. Meal planning is just one component of making your grocery budget work. Many people have already saved hundreds of dollars just by going through Grocery Budget Bootcamp! Have you determined your meal plan method? What would you do to make this work for you?? Looking forward to this series. Thanks for taking the time to break it down. Meal planning is a must when you are trying to save money, and eat healthier too. I agree, one must find a way that works, don’t give up if your first attempts didn’t work out well. You’re most welcome Michele, and you’re absolutely right. We must continuously tweek methods (or find new ones) to fit our ever-changing needs! Thank you, thank you, thank you!! I’ve been trying to be more consistent at meal planing. This is a great tool! You’re very welcome! I’m so glad it helps! The part of your meal plan that was so helpful to me was the categories and the simple meal/leftovers night. I need room for creativity (and leftovers) in my plan. Thank you for the great idea!